I have never cared all too much for roommates, whether they be good people or not. Sometimes, a serious lack in communication could lead to chores never being done, the house running out of toilet paper, and worst of all, bills not getting paid. HomeSlice, a new app to hit Google Play in beta form, looks to solve these issues. By creating a “social network” that only you and your roomies can join, you can manage all of the tasks that come with renting an apartment or home. There are a few key features – a whiteboard where everyone can post notes and messages, a bills section that allows users to manage who is taking care of what, and a grocery list section where everyone can make sure the house is fully loaded on Pop Tarts and Lucky Charms. 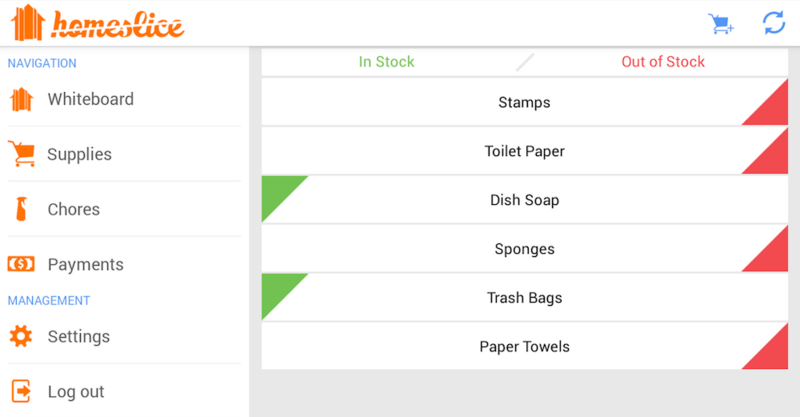 Each item in each category is managed by a single swipe of the finger. It’s quite intuitive, and since it’s easy to use and sign up for, there are no more excuses for why things aren’t getting done at the house. It is available for iOS already and in beta for Android, so even if your house is divided onto different mobile OS platforms, you can all still use the app. Go grab it and start taking care of your crib.